This post brought to you by Best Western. The content and opinions expressed below are that of This Mama Cooks. 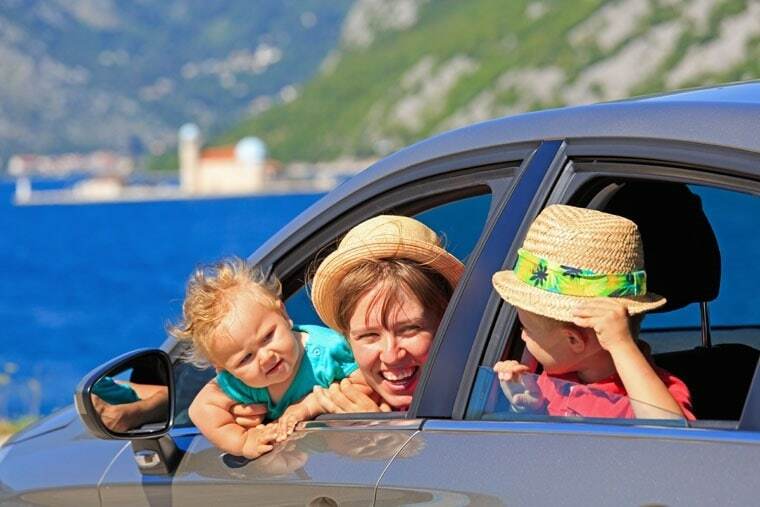 Are you planning any road trips with the family to a sunny spot for the holidays? Or maybe you have an away meet for your daughter’s sport team and have to stay overnight? Or possibly a quick trip to grandma’s house before the kids go back to school? Whatever the case is, you should consider staying at Best Western! I’ve been staying at Best Western hotels for years since they’re located just about everywhere you want to go, not only in the US but around the world. I’ve stayed in Best Western hotels on road trips from my previous home in Colorado to the Grand Canyon, South Dakota, and Chicago. Their hotels have always been clean, conveniently located, and a good value, since they include free high-speed wifi and breakfast. Did you know that Best Western has three types of hotels – Best Western, Best Western Plus, and Best Western Premier? Having the choice of three types of Best Western properties makes it easy for you to find the right Best Western for your needs and budget! I’ve only stayed at Best Western and the Best Western Plus. The Plus I stayed at was a brand new facility just outside of Winslow, Arizona on our way home from the Grand Canyon. The wifi was wonderful, making it easy to check email and update a few things while I was away. My family and I stayed in a huge suite made up of two rooms. Since my son’s a noisy sleeper, we had him stay in the other room on a pullout sofa. After sharing rooms with him all vacation long, it was the best sleep we got. Not surprisingly, it was also the cheapest room rate we had the entire vacation. If you’re a AAA member, then staying at Best Western is a terrific deal, since you get a special member discounted rate. So do members of AARP and the military! When making your online reservation, you can use the drop down menu to pick the best discount for you. If you’re not a member of AAA, I urge you to join as AAA members receive roadside assistance, battery service, and emergency check acceptance. Many tourist attractions also offer AAA discounts. AAA has an amazing online TripTik Travel Planner, which gives travelers access to detailed, interactive maps and the ability to create complete trip itineraries including stopovers and driving times. (I feel that it’s always a good idea to have printed maps as a backup in case your cellphone or GPS can’t find a signal.) AAA has towing programs for RVs and motorcycles, too. In addition, it offers financial services like life insurance, credit cards, and car loans. Best Western Rewards is Best Western’s guest loyalty program. It was number three on U.S. News & World Report’s 2014 list of the Best Hotel Rewards Programs. Members can earn points towards a long list of product and service awards that include free hotel nights, dining, retail and entertainment gift cards, merchandise; charitable donations, and airline miles. (I usually just use mine for airline miles as I feel that’s the best deal.) Also, AAA and CAA (Canadian Automobile Association) members receive additional discounts and bonus points when participating in Best Western Rewards. If you’re a motorcycle enthusiast, you can register in the Best Western Ride Rewards Program, which automatically gives you Gold Elite status. This means you get 10 points for every U.S. dollar spent on qualified room rates or 250 airline miles per qualified stay at more than 4,000 Best Western hotels worldwide. That’s the program I’m enrolled in, since my husband rides motorcycles. We like staying in places that are designated to be “rider-friendly,” which you can see right on the Best Western website when you’re booking your reservation. This means motorcycle riders who stay at Best Western hotels have access to a host of amenities like complimentary wipe-down towels and a cleaning station. While you’re online checking out the room rates and signing up for Best Western Rewards, check out Best Western’s blog, You Must Be Trippin’. It’s filled with terrific articles on travel hacks (watch the video on the shaving razor), tips on teen driving, pet travel, and trip inspiration. Check it out! So where is your next trip taking you and your family? Posted in Travel on November 23, 2014 by Anne-Marie Nichols.